Set of two keychains made of high-quality brushed steel. Together they form a whole heart. 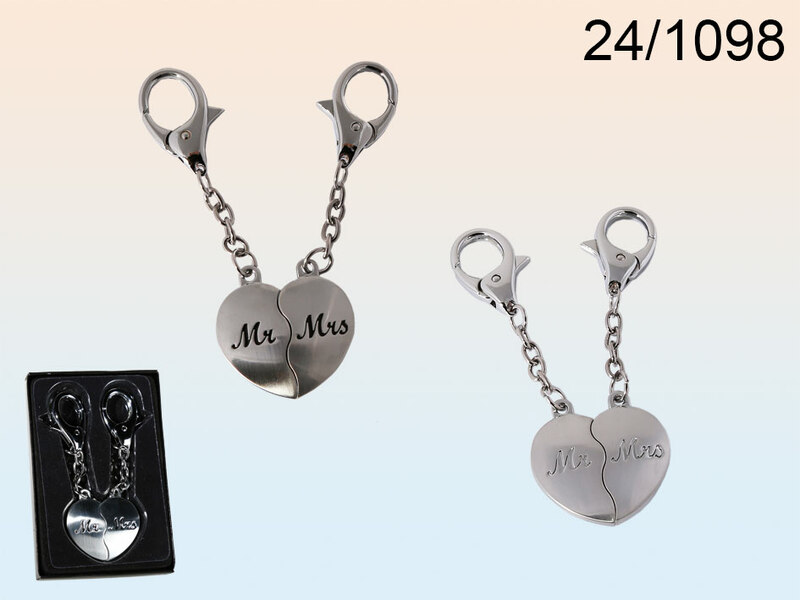 One reads Mr and the other reads Mrs. Sweet gift idea for couples. Beautiful and useful Valentine's gift idea. Two designs available - assorted. Dimensions: 12 x 8 x 1.5 cm.